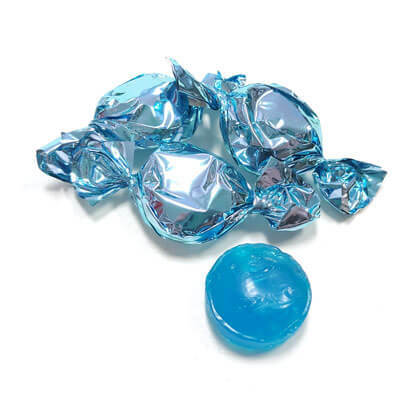 Metallic light blue foil wrapped raspberry candy. Approx. 4.5 pieces per ounce and 1 inch in candy diameter. Kosher Parve.